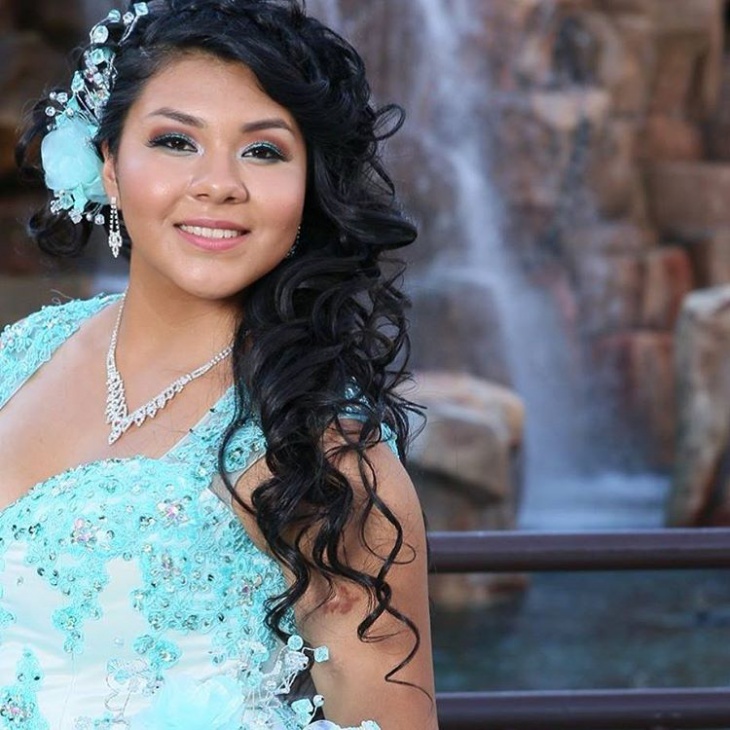 Quinceanera is a milestone for any young Hispanic girl. 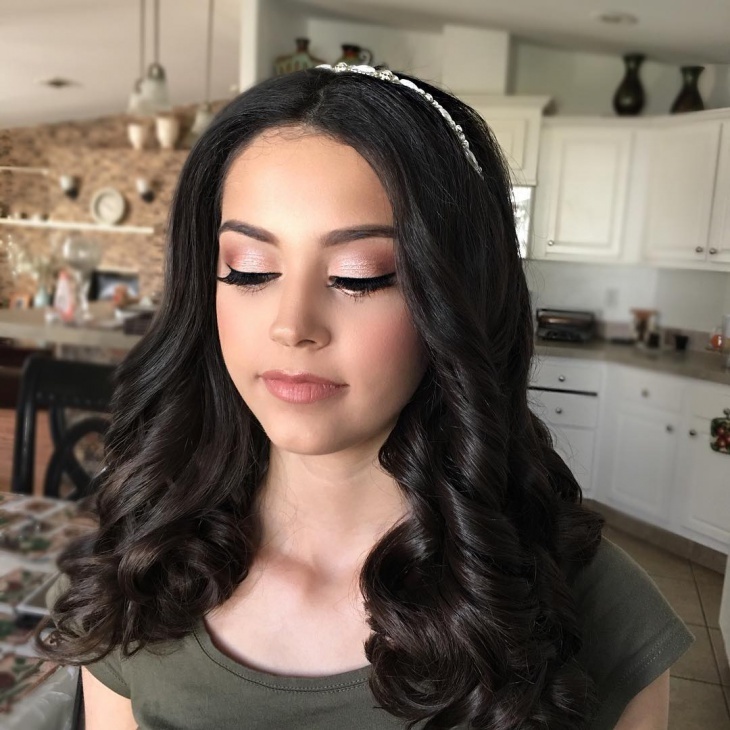 Also called Fiesta Rosa, it’s celebrated when a girl turns 15 – an age marked for adulthood from childhood – with a great deal of pomp and ceremony. Quinceanera begins with a religious opening, and then transforms into a large gathering replete with food, music and dancing. 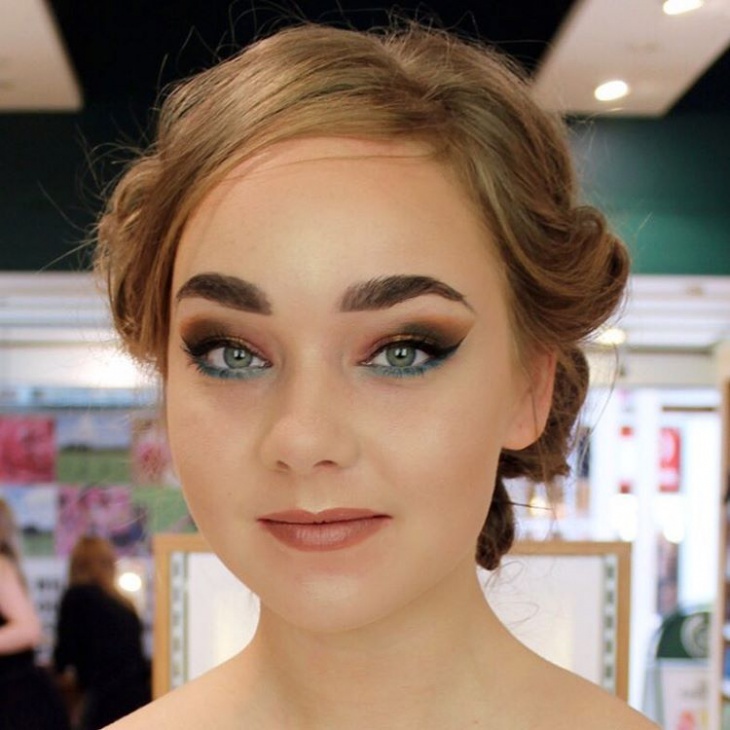 The girl in question has a ‘court’ of friends – male and female, who she will dance with, and one of the biggest ‘steps’ (pardon the pun) she will have to take into adulthood is represented by the changing of her shoes from flats to heels, aided by her father. This is a clear Wizards of Waverly Place reference – Selena Gomez as Alex Russo had her first quinceanera party in the first season. 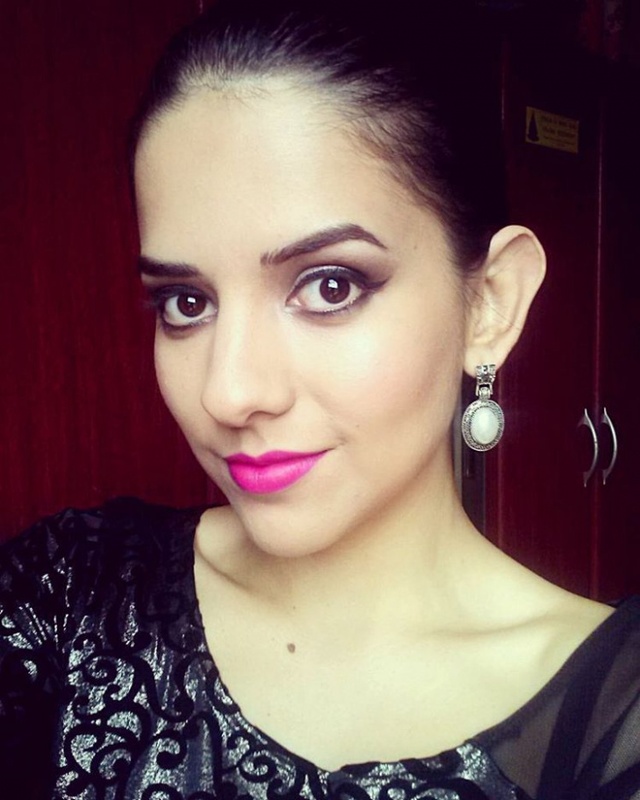 And here, she’s sporting the same fresh-faced look, with slightly more daring winged eyeliner and a simple pink lip. 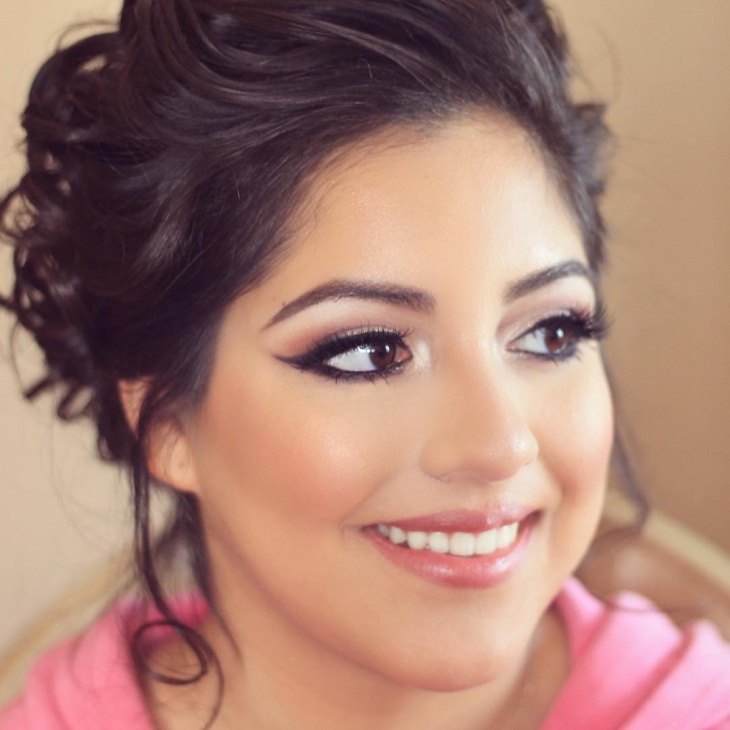 As the princess of the quinceanera, you’re the focus of attention anyway, but it never hurts to draw just a little more! 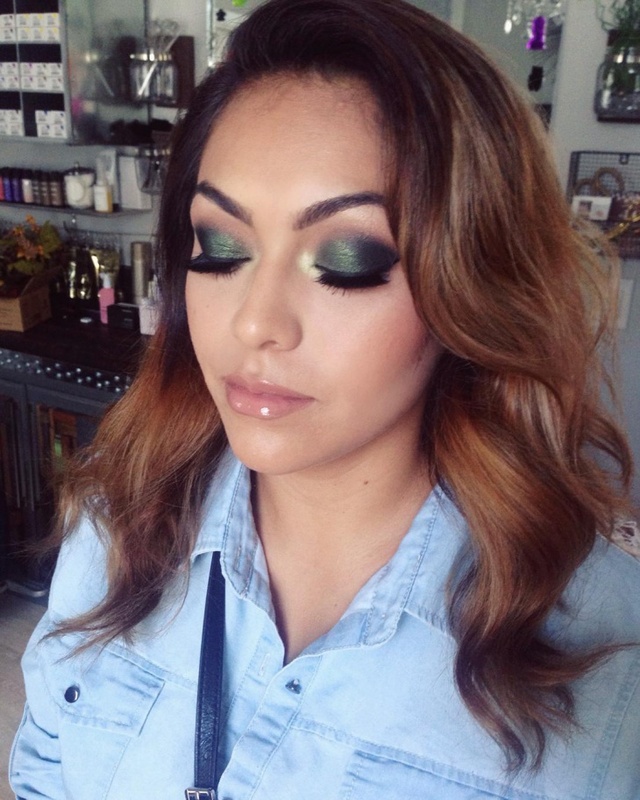 Check out the example: bold dark-turquoise eyeshadow applied smoothly along the lids. 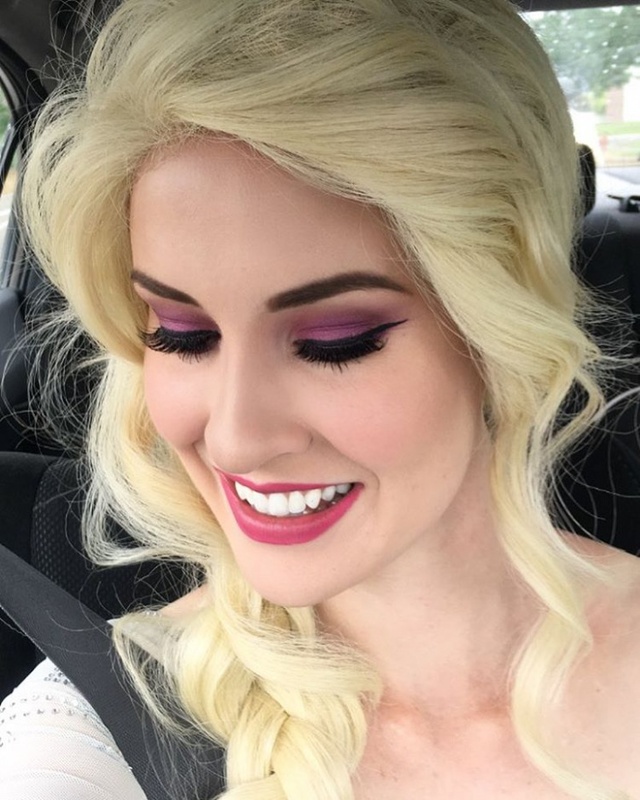 If you’re not too comfortable with such heavy eye make up, don’t worry. 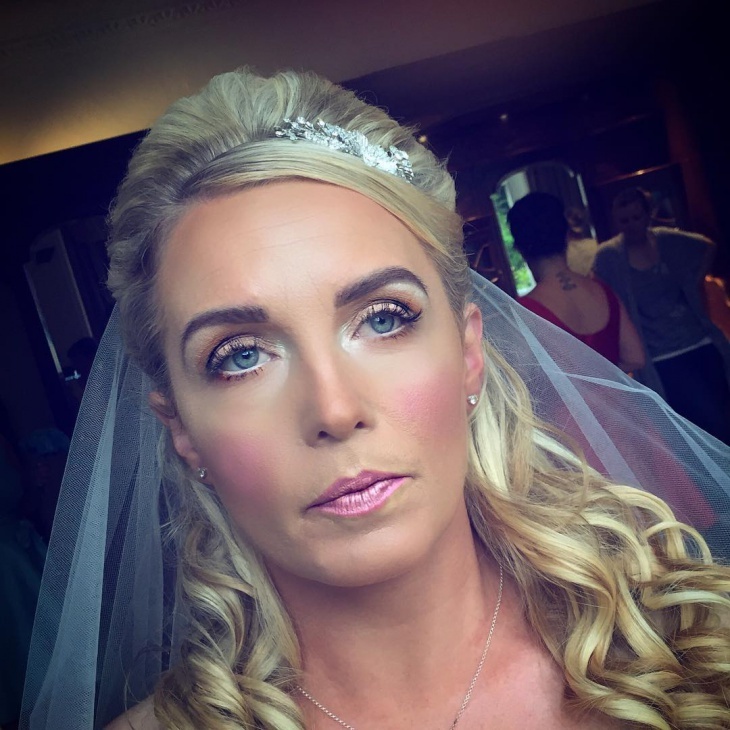 Slight eyeshadow at the edges, a mere line straight and black across the rim of your top lids, helped along by a bit of mascara and rouge on the cheeks will also do the trick! 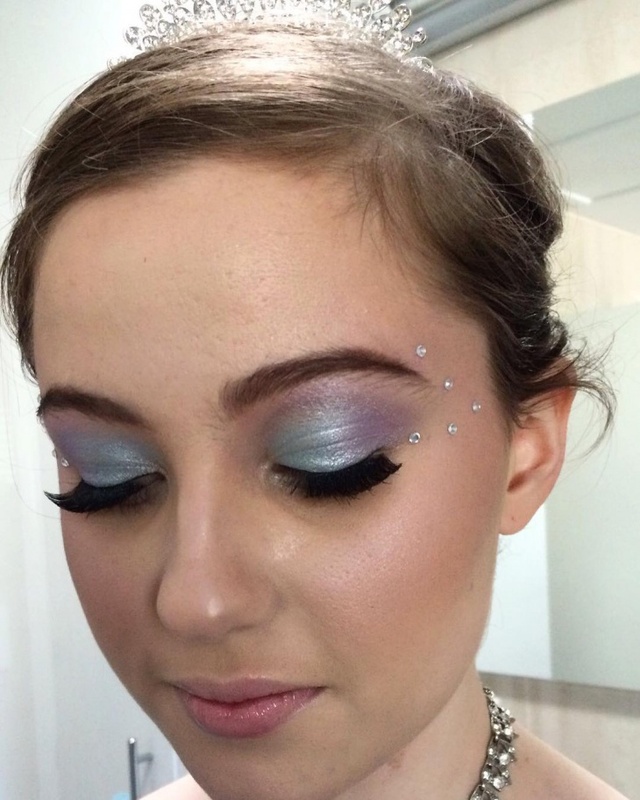 Another simple, yet elegant look for quinceanera: pink shadow and lip, and liquid winged eyeliner with mascara. A touch of brilliant light blue can startle your well-wishers – and make them admire you at the same time for your boldness! Accompany this with a cascade of curls, and you’re a sure fire fit for a lovely Hispanic Disney princess. 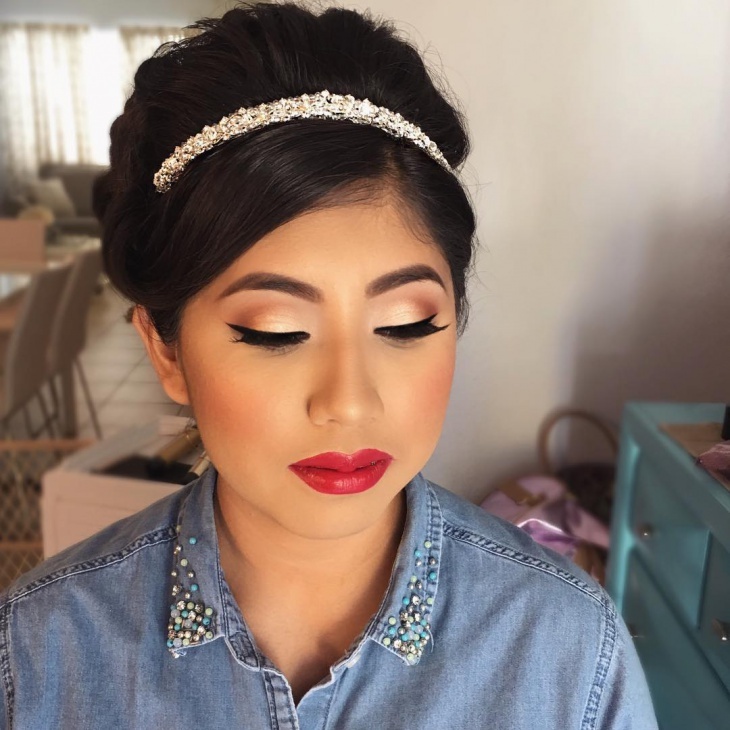 A quinceanera queen can truly work it with a red lipstick. 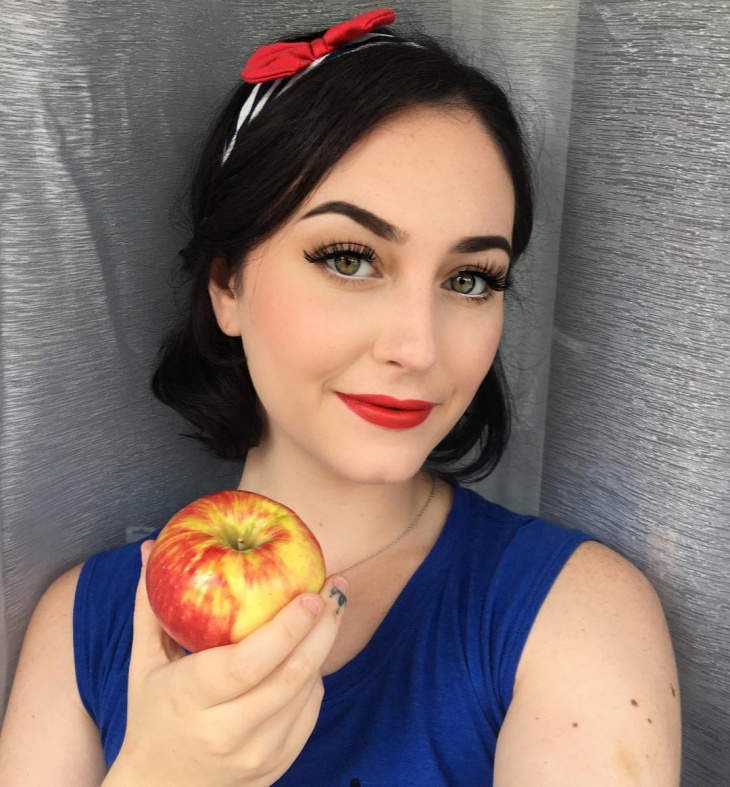 The trick to wearing a red lip is to ensure that all other elements of make up and accessories are kept simple and understated. 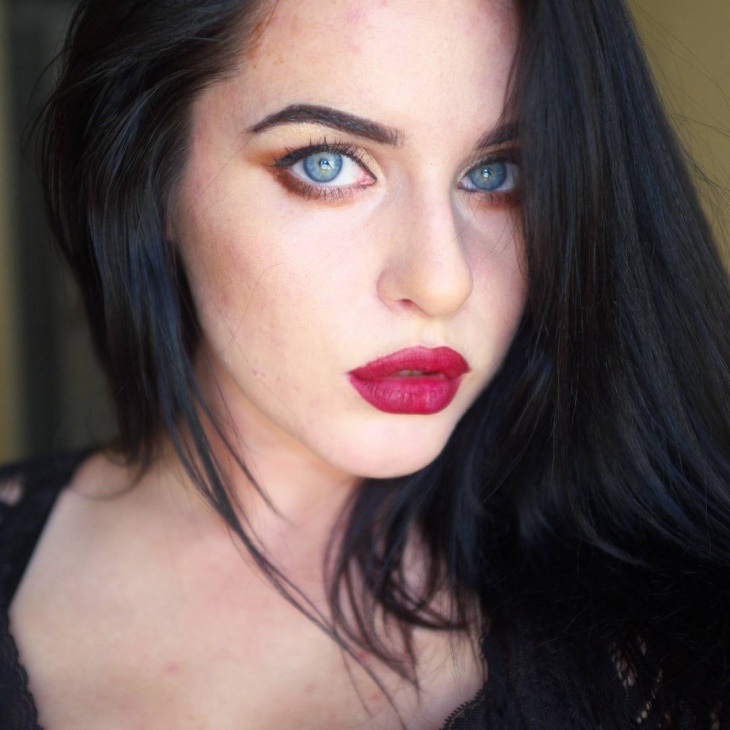 The lip need not be fire-engine red, or tomato ketchup, but a dignified burgundy or dark crimson, perfect for the dignified lady she is going to be, smile or sans smile. If you’re feeling slightly uncomfortable, why not stick to simple and easy-to-do? 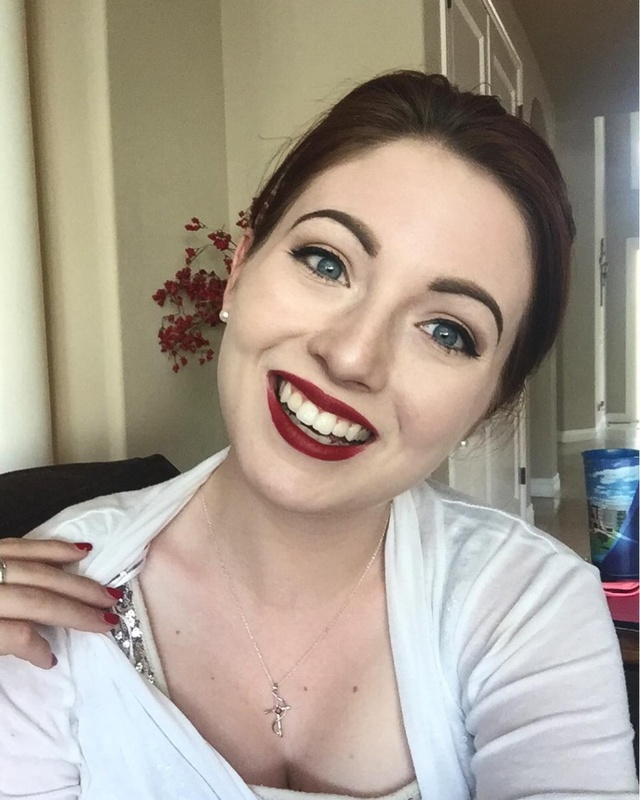 After all, you’re beautiful anyway! 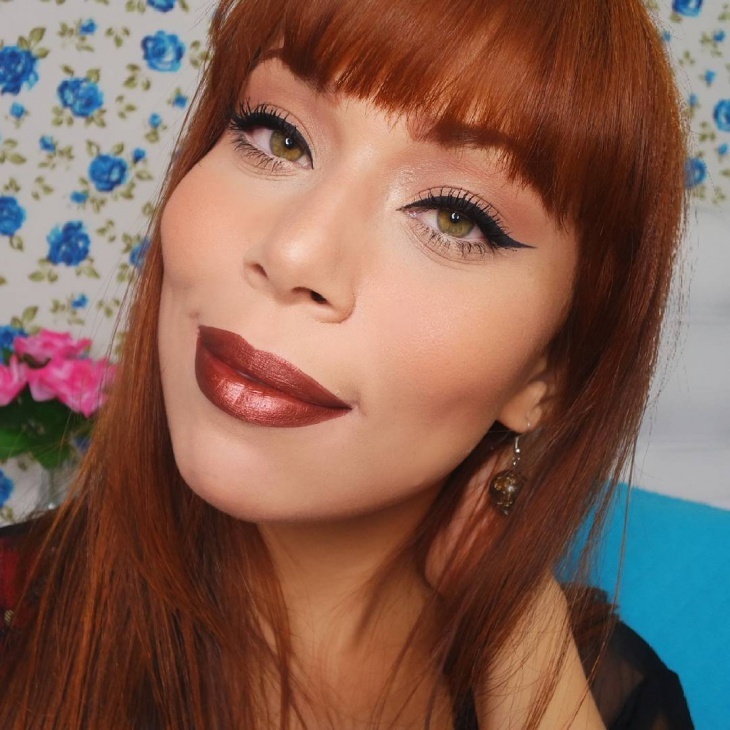 Check out this demure look, with an easy glossy pink lip and eyeliner. 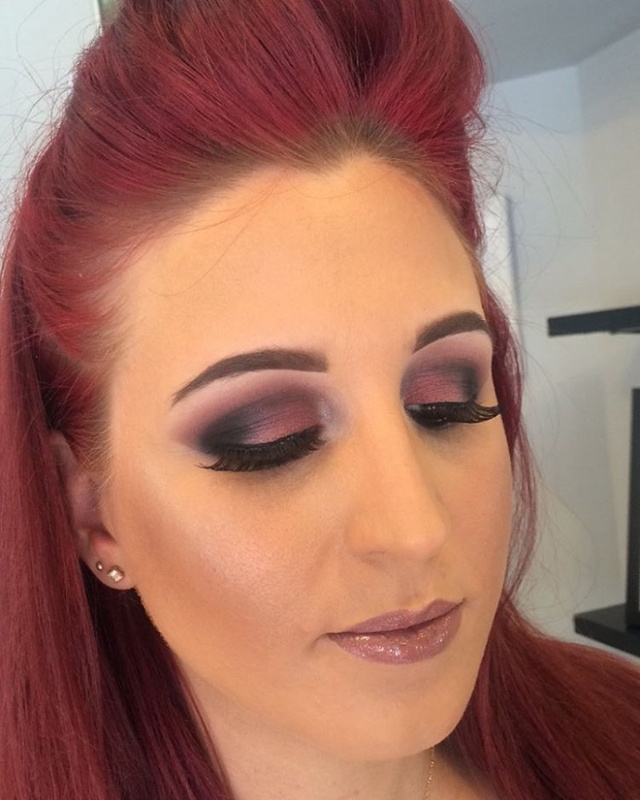 Another cross between a quinceanera and prom look. Notice how the face is accented with the delicate headband and ringlets. 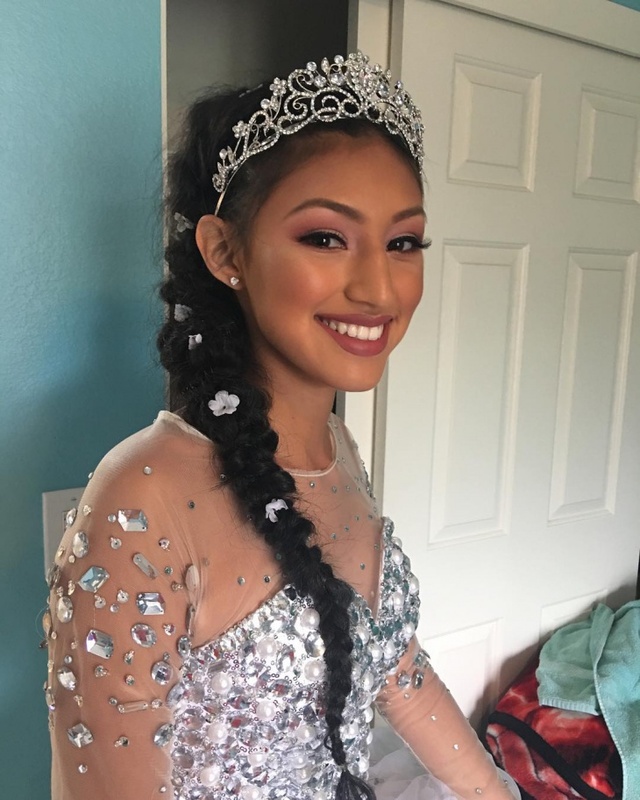 A queen’s influence is determined by the company she keeps, and the example is perfect for a child’s first quinceanera as a guest, or member of the court. 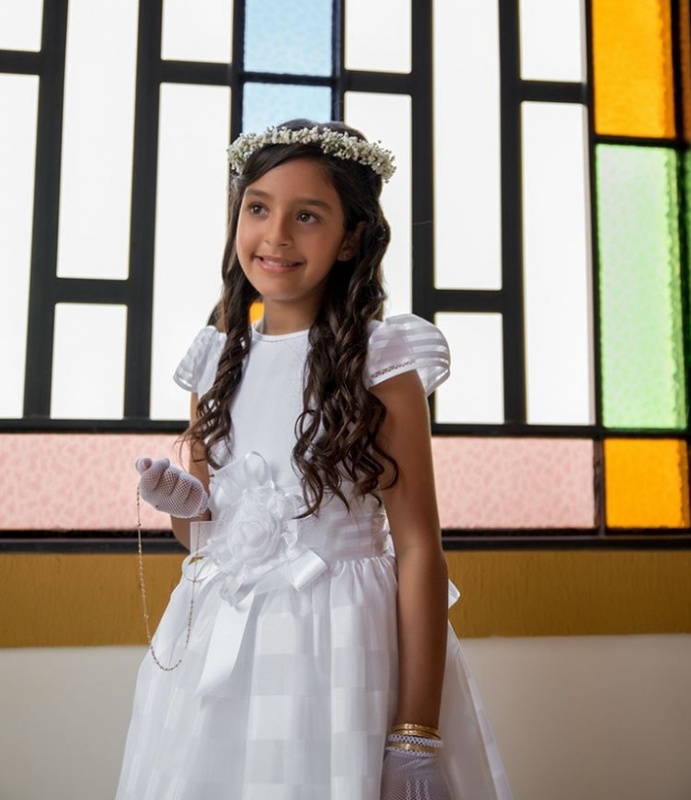 Note the sweet flower crown, the silver necklace and the very ladylike white gloves – all put together to create a very personable (and cute) little lady of the queen’s court. 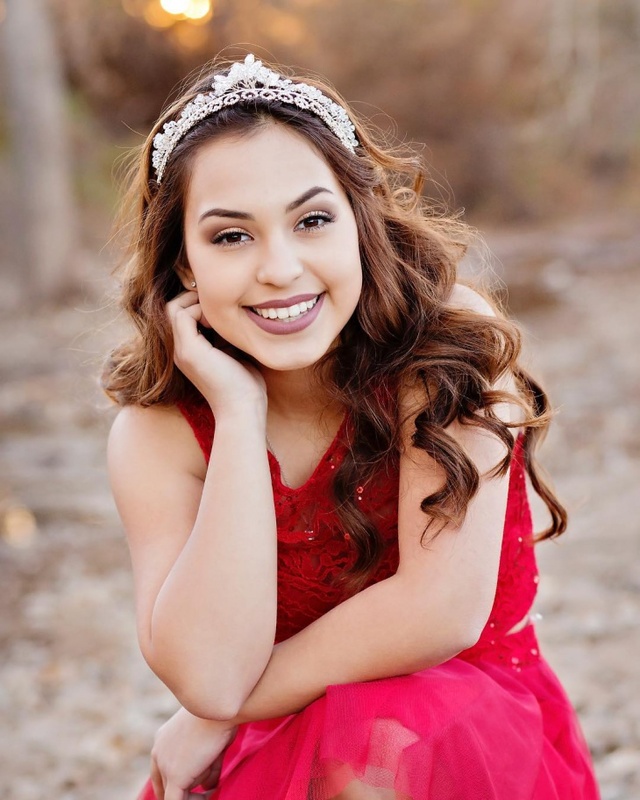 The quinceanera is a special time in a young girl’s life, and it’s not difficult for her to feel nervous or shy because of the attention, or scared of this sudden marking of her age. So this list will hopefully help all the parents out there to settle down, and concentrate on who’s important for the occasion, not whom to impress. 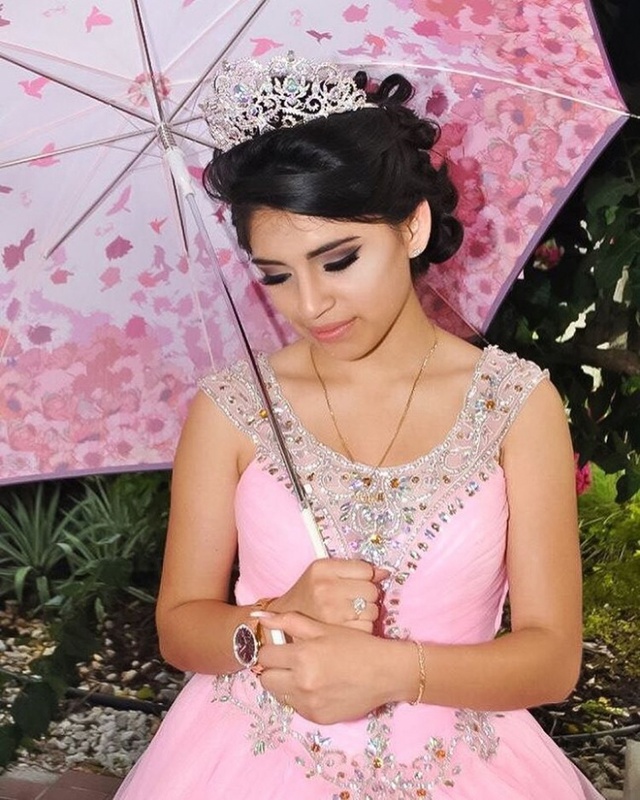 And as for the quinceanera queens, live it up and enjoy!